Why should you send your surveys & forms with Textlocal? Textlocal surveys are mobile-optimized, feature industry-standard options and can even be fully personalized for every recipient (using merge fields and skip logic)! Combined with the high-engagement SMS medium, our SMS surveys work as great low-cost alternatives to other popular survey tools and forms. How can your business use Textlocal Forms and Surveys? You can create as many surveys and forms as you wish, free of charge. You will only be charged for the surveys you send (see pricing options below). All surveys and forms you create are designed exclusively for the screen of a mobile phone, making it user friendly and quicker for the end user to open it in their mobile browsers. Insert custom fields to merge data such as first names, surnames and orders to your surveys and forms, giving them a personal feel. The survey link is embedded into an SMS text so like with all SMS campaigns you send, you can schedule a time and date for this to be sent. You can also set a start date and end date from within the survey settings. There is no cost to receive replies to forms and surveys. Depending on the payment option you choose, responses will be collected and stored for three months or until your contract end date. Insert images and logos to match your businesses look and feel. For an even more professional look, we can create a bespoke survey for you. Contact sales for a quote. All responses are automatically stored in your Textlocal account for real time viewing, complete with easy-to-access stats and graphs displaying your results. You can export the response data to Microsoft Excel for in-depth analysis. Textlocal’s Survey Logic enables users to create surveys and data capture forms that present specific questions or pages to respondents, based on their previous answers. With Survey Logic, you can improve usability and response rates with a tailored and relevant customer experience, all driven from a single survey or form. Interested in Survey Logic? Contact sales to activate this feature on your account. 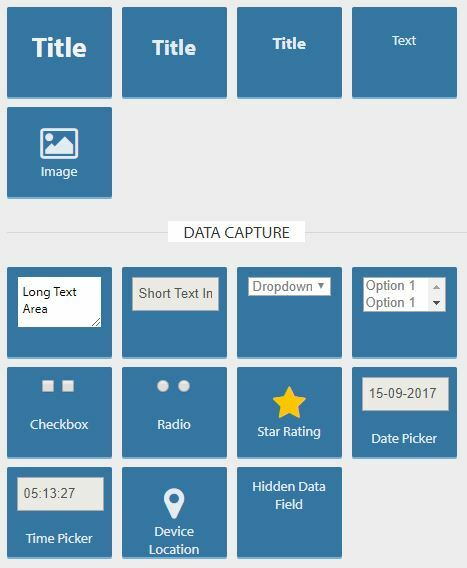 This short guide demonstrates how you can create your own mobile optimized surveys and forms from start to finish. Discover how your business can use mobile forms to collect information from customers and staff and how to create your own in minutes. With this option you pay for every survey you send out. All completed surveys are collected, free of charge for up to 3 months after the send date. The costs below include the cost of sending the text message. 2 SMS credits per survey sent. If you use more than 160 characters an additional 2 credits will be used. With a subscription you can send as many surveys as you like at the same cost of an SMS. All survey results are stored separately. Responses are collected and archived in Messenger for as long as your contract is live. For more information, please contact sales@textlocal.in. I myself learnt the most important aspect of successfully running a startup I.e (true & dedicated) customer service from none other than Textlocal. My special thanks to Mr.Sharat who represents Textlocal. He has always gone that extra mile to help, even on a Sunday.